These cheesy Marmite rolls are the ultimate barbecue comfort food. Crunchy, warming and satisfyingly savoury, they are best served hot and dipped in your leftover vegan cheese sauce. The idea for this recipe came from some DELICIOUS vegan cheese and Marmite fries that I tried at a burger bar in Cardiff (can’t remember the name of the place, sorry!). The vegan burger that I had there tasted a little bland, but in all honesty it was probably because of how flavourful the cheesy Marmite combo was! As soon as I tried them, I knew I just had to recreate this at home on the barbecue. 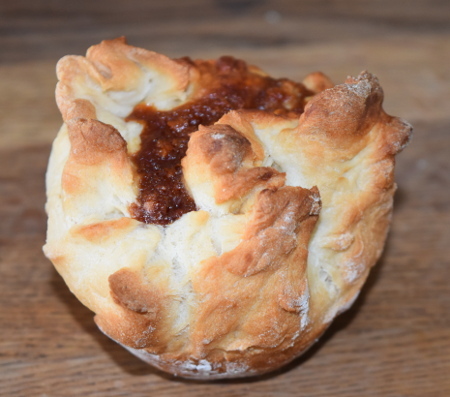 However, chips don’t lend themselves to being cooked on the barbecue, so I thought I’d try the cheesy Marmite mixture stuffed into a homemade bread roll; the results were delicious! Probably the best thing about these cheesy Marmite rolls is the versatility in the cheese sauce – the cashew and carrot base is really important for consistency, but not massively for flavour. Therefore, you’re free to use whatever root vegetable you like with the cashews! I usually use carrot because I like the colour it gives and the mild carroty flavour adds to the sauce (in my opinion), but previously I’ve used parsnip, cauliflower and even potato; all work pretty well! For this recipe, you will need a barbecue with a lid, along with heat deflector stones to create that oven environment; a 2nd tier grill is also useful to have. Makes 12 cheesy Marmite rolls. Prep time (including proving time and making the cheesy sauce): 1 hour 15 minutes. Cooking time (of the rolls): 20-30 minutes. Allergens: gluten (strong white bread flour), nuts (cashews), soy (soya milk). Start my putting the diced potato and cashews into a small saucepan, and cover with water. Bring the water to the boil and then let the potato and cashew simmer for 15 minutes. While the potato and cashew cook, put the soya milk, nutritional yeast, lemon juice, mustard, garlic powder and salt into a high speed blender. 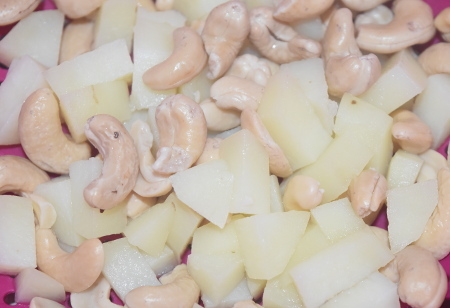 When ready, drain the cashews and potato and add them to the blender. Blitz until a smooth liquid is formed. Now it’s time to light the barbecue – make sure you have your heat deflector stones in and a 2nd tier grill if you have one. Heat your barbecue up to 200°C (392°F). 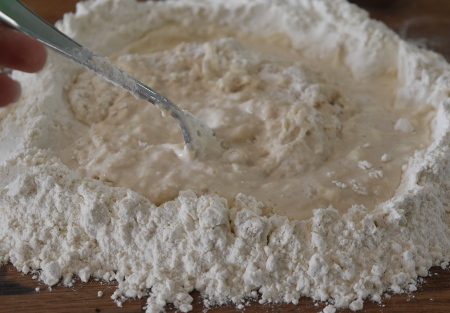 Take your dough out of its warm place and put it out onto a floured surface. Split it into 12 even pieces and roll them out into little ovals. Take a tablespoon of the cheese sauce and dollop it into the middle of the first dough oval. 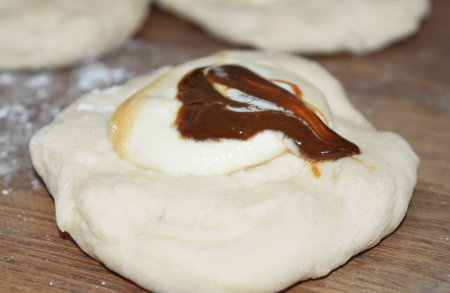 Take about a ¼ teaspoon Marmite and put that into the middle of the dough as well. Take the outside edges of the dough and pinch them together at the top, sealing the filling in the middle. Repeat with the rest of the dough ovals. You will more than likely have quite a lot of sauce left over – keep this for dipping! Take each of the cheesy Marmite rolls and pop them into a bun tray, putting each roll into a bun holder. Put the tray into your barbecue and cook for about 20 minutes, or until the rolls are golden brown. Take your cheesy Marmite rolls out of the barbecue and enjoy as a tasty snack! Marmite - what's all the fuss about? Marmite is notoriously one of those foods that is "love it or hate it". 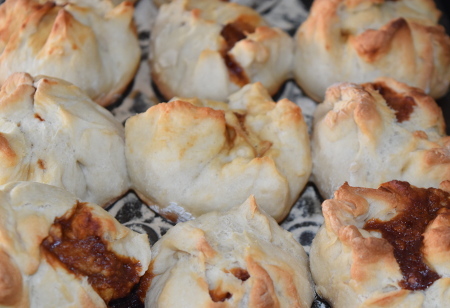 Personally, I love it - otherwise I wouldn't have written a recipe for cheesy Marmite rolls! Not only has it got such a distinctive tangy taste, but it is one of the few vegan foods that contains vitamin B12, which is essential for our nervous system to function normally. For more information about Marmite click here, or to find out more about vegan sources of vitamin B12 click here.